Audrey Landers made a name for herself in the early Eighties playing Afton Cooper in the legendary soap series 'Dallas'. After a few seasons she disappeared from the series, while launching a reasonably successful singing career in Europe. By the mid-Eighties she'd disappeared from the music scene, though. By 1990, she returned both to 'Dallas' and to music. She reprised her role of Afton Cooper for one season and recorded this single, a quite dated slice of German schlagerpop. 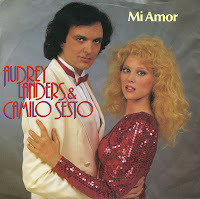 In 1984, Audrey Landers recorded 'Mi Amor' as a duet with Camilo Sesto. He was born on September 16, 1946 as Camilo Blanes Cortés and became a prominent performer of Spanish pop music in the Seventies and Eighties. The duo recorded the duet for Landers' album 'Holiday dreams', which was mainly a success in Germany. The production sounds a lot like German schlagers, and this went down well in Germany: the album was certified Gold within weeks of its release. The single also managed to reach number 30 in the Dutch Top 40. Written by the Germans Bernd Dietrich, Gerd Grabowski and Engelbert Simons, 'Little river' has all the hallmarks of a real German Schlager song. 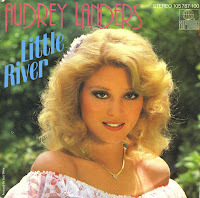 Audrey Landers recorded it as a single in 1983, to follow up the great summer hit 'Manuel goodbye'. This single, however, failed to dent the charts outside of Germany. 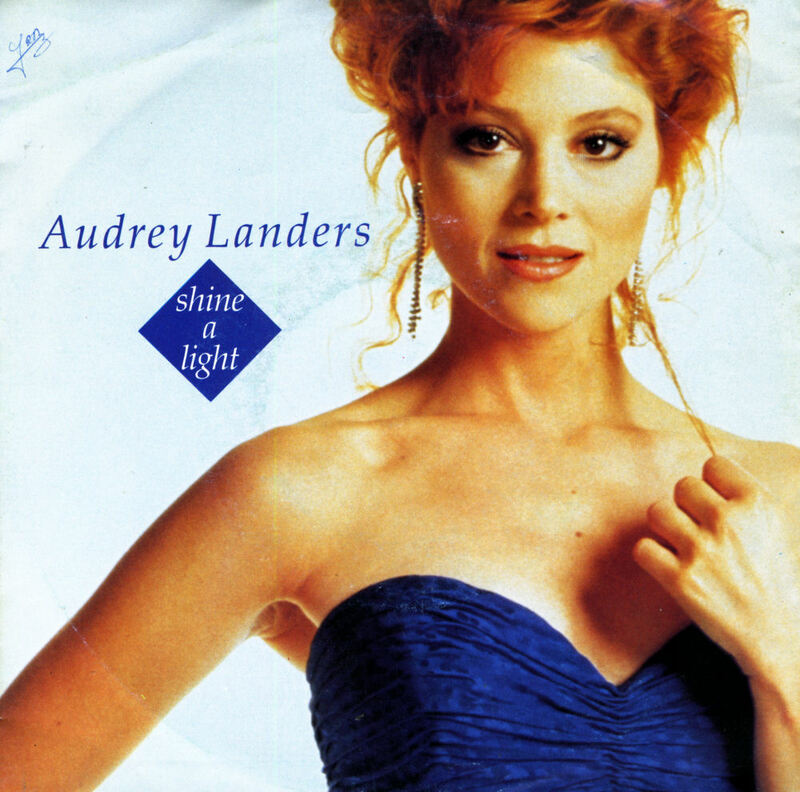 Although most people remember Audrey Landers as the pouting blonde that played Afton Cooper in the American series 'Dallas', she also has a lengthy musical career under her belt. Starting out as early as 1978, she had her biggest hit in Europe with 1983's 'Manuel goodbye'. After this, she released ten albums and a few dozen singles. One of those singles is this one, from 1988. 'Never wanna dance (when I'm blue)' was co-written by herself, but failed to make an impression in the charts. Audrey Landers was born on July 18, 1956. She was first noticed when she wrote and performed a country song when she was just 12 years old. During her teenage years, she acted on the daytime drama 'Somerset' and studied music at the Juilliard School in New York. Her feature film debut came in 'The Tennessee Stallion' (1978) with her younger sister, Judy Landers. In 1981 she was given the role of Afton Cooper in the drama series Dallas, in which she appeared from 1981 to 1984. It was during this time that the single 'Manuel goodbye' was recorded and released. She had a Europe-wide hit with this in 1983, peaking at number 2 in the Dutch Top 40.